If you build it, it might pop. From the file of totally bizarre architectural designs comes this gem from the Smithsonian's Hirshhorn Museum and Sculpture Garden. 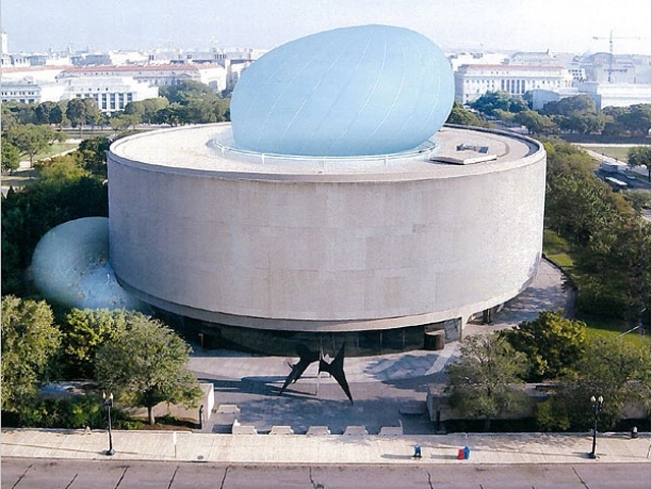 The museum is considering creating a temporary, bubble-like addition to cover the courtyard at the center of its round building. 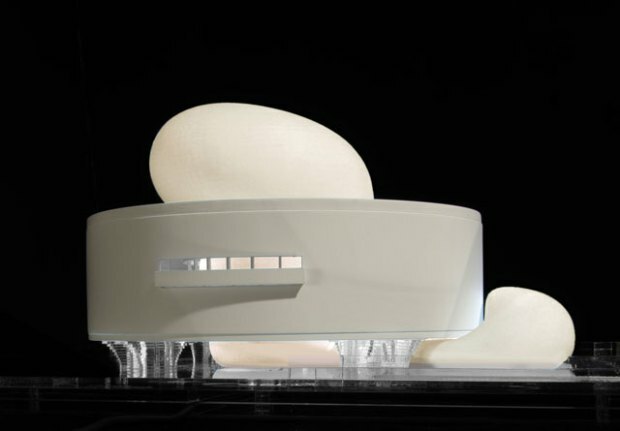 The concept of a 145-foot inflatable meeting hall would look like a balloon expanding through the roof of one of the monumental buildings along the National Mall. New York design firm Diller Scofidio & Renfro came up with the actual bubble design -- the same firm that installed the High Line above-ground park and trail on NYC's West Side. Museum director Richard Koshalek wants to create a place to discuss contemporary cultural issues. He has said the Hirshhorn should be an "ideas factory." And if that doesn't work, it could become one hell of a popcorn maker. Initial plans call for up to 1,000 seats in the structure, which would not require the approval of the National Capital Planning Commission. The museum estimates that the design will cost about $5 million, but D.C. politicians could provide enough hot air to keep the bubble inflated for free for years to come. The New York Times said the structure "could be the most uplifting work of civic architecture built in the capital since I. M. Pei completed his East Building of the National Gallery of Art more than 30 years ago." Of course, the walls of that structure are crumbling and are in need of significant repair, so that may not be the best comparison to make.